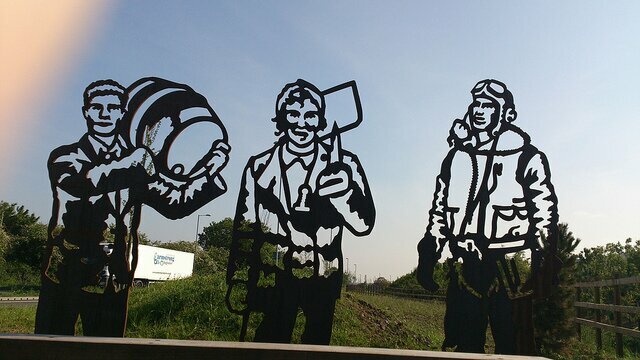 If you want a walk – or cycle ride for that matter – with an added cultural element then Swindon is blessed with fantastic public art, so check out the West Swindon Sculpture trail or the Old Town railway path where the haunting wheel sculptures are. 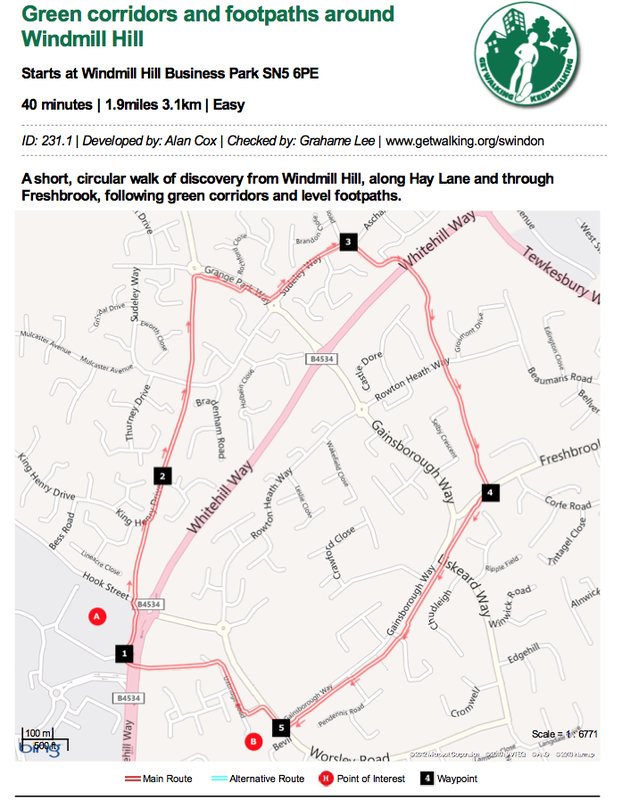 The Swindon BUG website does of course have a whole host of information on cycle routes with downloadable maps and links to other cycling sites such as Sustrans. Personally I prefer to keep my feet on terra firma but if cycling is your thing then Swindon affords many opportunities. A further exciting development in the world of cycling and walking is ‘Marking Time on the Western Flyer’. From Total Swindon: “an exciting arts project being delivered by Swindon Borough Council’s Create studios in its 30th anniversary year. Funded by Swindon Travel Choices and led by artist Scott Farlow, the project is part of the new enhancements to the Western Flyer cycle and pedestrian route,which runs from Shepard Street underpass in the town centre to Mead Way in West Swindon …” There’s a Facebook page for the project so check it out there too. » Cycle leaders to get on their bikes to help community. “Cyclists in Swindon are taking part in a national campaign to get even more people on to two wheels. Swindon Borough Council is hosting British Cycling Ride Leader training later this month with the aim of inspiring the local community to take up cycling. Well, you learn something new every day don’t you? And it’s amazing what you can discover in the Twittersphere. Until some interactions on Twitter yesterday I had no idea of the existence of Swindon Travel Choices. Well, actually that’s not strictly true – I had seen persons on the bus wearing polo-shirts emblazoned with the company name but I assumed it referred to a bucket holiday-shop. Not so. Swindon Travel Choices is a project to support the regeneration of Swindon Town Centre by promoting different travel choices to the people who work in the town centre and live in the borough. So whether you walk, cycle, drive, use the bus or possibly even if you jet-pack from place to place, Swindon Travel choices is the site to go to. There’s maps and journey planners and all manner of useful stuff on the website – best thing to do is go and have a look. For instance in the ‘walking’ section of the site you can download a copy of a magazine or request a copy to be sent to you in the post. The current issue has a feature on the West Swindon sculpture tour about which I’ve been banging on ad nauseum. Hurrah! It’s lovely to see that featured. So, dust down your walking shoes or dig out your cycle clips and visit this site for all sorts of inspiration.